One of the most popular celebrities and erstwhile heroin addict, Russell Brand, has given evidence to the MPs in the Parliament for reviewing the drugs strategy of the Government. And while giving the evidence he has given some very useful and thoughtful suggestions to the MPs. The famed comedian has suggested the politicians to treat drug abuse events as health issues and not criminal offences. He said that the Government is wasting time and money on policing trifle drug crimes. He suggested further that the same money can be used instead for helping drug education programs. 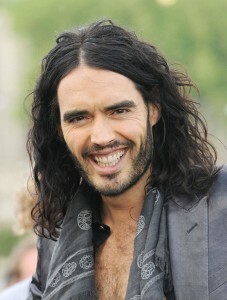 Russell Brand also gave an honest account of his own fight with the heroin addiction. He said that his own drug dependence was caused due to psychological and emotional problems and a spiritual malady. He said that it is more essential to handle these problems than to treat the addicts as criminals. Russell Brand also said further that society’s response towards a drug addict should be loving and compassionate, rather than rough and rude. As the comedian actor has gone through all the miseries and can understand what it is like to be a drug addict, his expressions are extremely genuine and impulsive. What he has divulged, matches well with the studies done by recognized philanthropies. According to the studies the drug abuse is the biggest health problem in most of the western countries and causes more deaths, diseases and disabilities than any other avertable health problem. E.g. around 1 in 4 deaths in the USA is because of substance abuse. Moreover, the cost of the abuse is assessed to be over $414 billion per year. Marijuana: This is also known as ‘joint’, ‘grass’, ‘pot’, ‘cannabis’, ‘Mary Jane’, ‘hashish’, and ‘weed’. It is the most popular narcotic substance next to tobacco and alcohol. Its source is a hemp plant Cannabis sativa. The health problems it causes are blood-shot eyes, increased blood pressure and heart rate, bronchodilation and in some cases bronchospasm and bronchoconstriction due to bronchial irritation, sinusitis, pharyngitis, asthma and bronchitis, and also sometimes severe effects on immunity. Cocaine: This is also called ‘speed’, ‘coke’, ‘crank’, ‘crack’, ‘go’, ‘crystal’, ‘speedball’, ‘snow’, ‘yellow jackets’ and ‘cross-tops’. It causes more of psychological health problems like mood swings, sleep problems, depression, memory loss, loss of interest in life and social withdrawal. Heroin: Heroin and several other opiates like morphine and codeine cause severe health effects. Heroin is taken intravenously and so the health issues it causes are also associated with contaminated needles and they are hepatitis, HIV infection and even AIDS. Therefore as rightly pointed out by Russell Brand, the drug abuse should be taken to be a medical condition and not a criminal one. It should be understood more clearly as the younger generation is being victimized on an increasing scale by the nasty narcotics. Why buy HGH from responsible sources only?